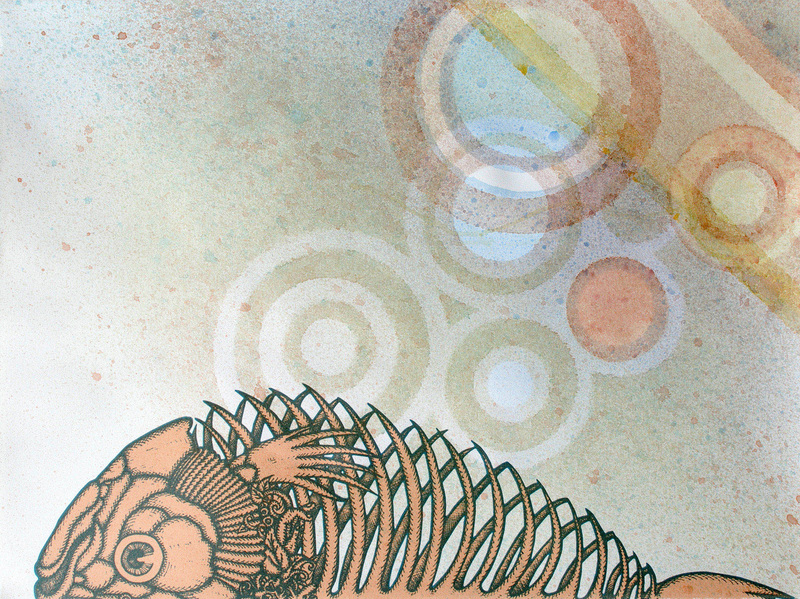 Clark is a multi-media artist using experimental and traditional printmaking techniques, painting, stop-animation, and sculpture. Clark’s work calls to mind a dreamscape populated by a personalized brand of iconography. A strong sense of atmosphere and movement activate the paper’s surface as geometric forms enter dialogue with organic, animalistic figures derived from nature. Leading the eye from precise renderings of complex compilations to subtle silhouettes, Clark urges us to view our world from a new perspective. Through layering of imagery and media, and juxtaposition of softly applied paint with the decisive mark of a serigraph, Clark offers a response to both the physical world and the interior landscape of the mind.